At one point, Bilbo Baggins looks at the incarnation of death as it soars into the distance. “What have we done?” he whispers. If this was directed to the audience, I would gladly answer: you’ve done it again. This installation of J.R.R. Tolkien popular Middle-Earth anthology lives up the best in the series, and surpasses the fairly good first part of The Hobbit. The creative talent behind The Hobbit: The Desolation of Smaug, lead by Academy Award winner Peter Jackson, have outdone themselves. Jackson wastes no time, the film jumps right into the heart of Tolkien’s literary masterpiece and leaves the viewer with a lot to be desired, and I mean that in a good way. The film ends with a cliffhanger that will have you counting days till the grand finale arrives in glorious IMAX. Do not be fooled by some of the negative reviews posted online. 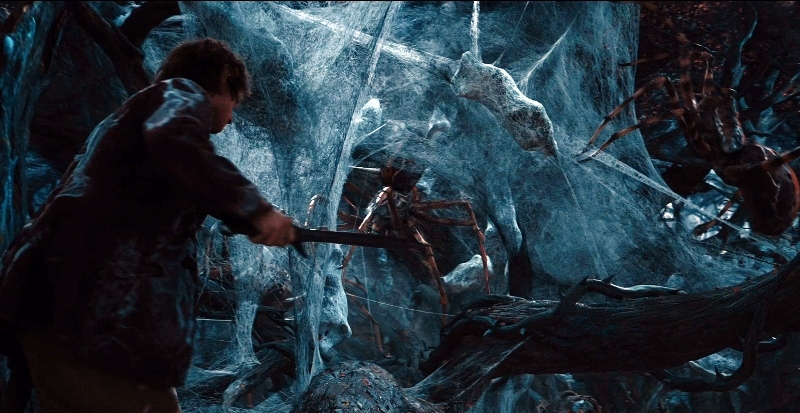 The bulk of the complaints address the fact that The Desolation of Smaug lacks a beginning and an end. This is very true, but calling this a flaw is absolutely absurd. The Desolation of Smaug has a beginning, and the beginning is a movie you might have missed called An Unexpected Journey. And guess what? They’re working on releasing an ending too; it’s called There and Back Again. For that very reason, one can’t critically tackle Jackson’s film in a conventional way. This isn’t meant to be judged as a stand-alone movie. About a year ago, my CairoScene review praised the first Hobbit film for giving the characters the time they deserve. It boasted character development but lacked adventure; with this continuation of the story, the case is vise versa. The characters are all built up and we’re thrown into one little adventure to another from the get-go. Eventually, we arrive to the film’s pinnacle, the appearance of Smaug, best described by Tolkien as “a most specially greedy, strong and wicked worm.” Smaug is the last great dragon of Middle-Earth; the grandeur of his presence is a sight to behold. The special effects that went into crafting every little inch of this monster’s skin texture are nothing short of marvelous. 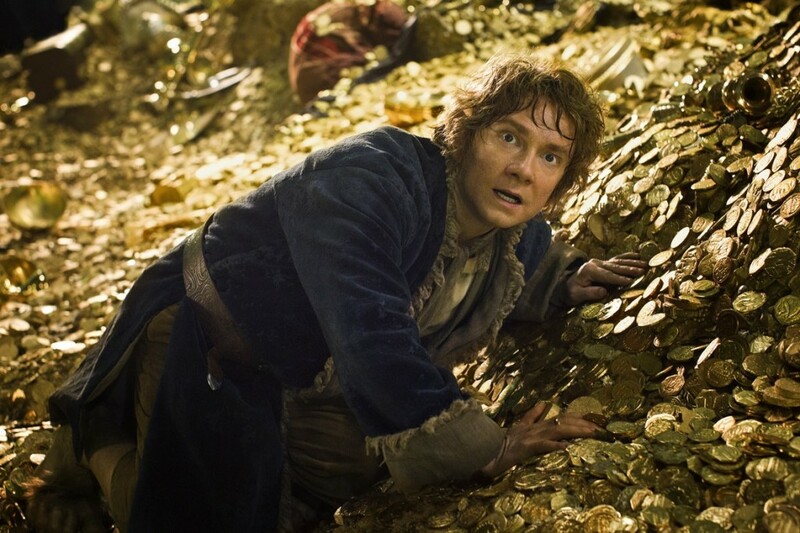 The Hobbit: The Desolation of Smaug is thrilling, humorous, and romantic. It’s the swashbuckling entry that perfectly transforms this saga from small in scope to sheer epic. One last thing, before I leave you running off to your theaters: knowing the grandiosity this film could potentially deliver; I went to see it opening night at IMAX. However, due to technical issues caused by heavy rainfall, the IMAX screen was temporarily shut down and we had to experience it on a regular screen.